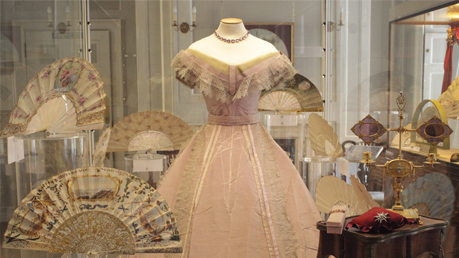 Visit the only museum in the UK devoted to the history of fans and the art of fan making. Nestled in the heart of historic Greenwich, The Fan Museum is home to a diverse collection of fans from around the world, dating from the 12th century to the present day. Our collections are displayed in changing exhibitions exploring the different themes: politics, fashion, fine art and architecture to name but a few. Enjoy London’s ‘Best Value Afternoon Tea’ (Daily Telegraph 2012) in our beautiful muraled orangery. This unique garden room, with its beautifully detailed murals, exudes an enchanting atmosphere. Overlooking a ‘secret’ garden in the Japanese style, it offers the perfect space to unwind over one of our delicious teas. Afternoon tea comprises tea or coffee with a scone, cream & jam, and a selection of freshly-baked cakes, all for just £9 per person, plus museum admission charges. Closed to the public on Monday.